Join the Branford Land Trust for the first of its Winter/Spring Lecture Series, “Butterflies and Their Garden,” with naturalist, artist and writer John Himmelman on Wednesday, January 27, 7:00 p.m. The event is free and open to the public, and will be held at the Blackstone Memorial Library, 758 Main St, Branford. Highlighted by a collection of local photographs, John’s presentation addresses many of the questions asked about the lives and preferences of this fascinating group of insects. 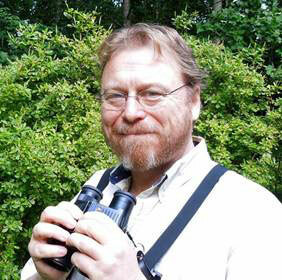 He’ll discuss butterfly families and species, life cycles, finding butterflies, and creating butterfly habitats. John is the author/illustrator of nearly 80 books for children and books (for grown up kids) on various nature topics, some of which will be available for purchase the night of the lecture. He graduated School of Visual Arts in 1981, and his first book, Talester the Lizard, was published later that year. His children’s book genres range from whimsical to natural history. He is a naturalist, involved in many organizations where he gives lectures and leads trips in search of exciting flora and fauna. He strives to incorporate his interests with his career as a writer and illustrator because it just makes both more fun. To find out more about his work, visit www.johnhimmelman.com. Please save the date for these other upcoming BLT lectures: “Saving the Sound: from Your Beach to the Ecosystem,” with Curt Johnson, Executive Director of Save the Sound, on February 24; a presentation on Horseshoe Crabs and Project Limulus by Sacred Heart University on March 23; and “How to Watch Birds” with Artist and Naturalist Robert Braunfield on April 27. 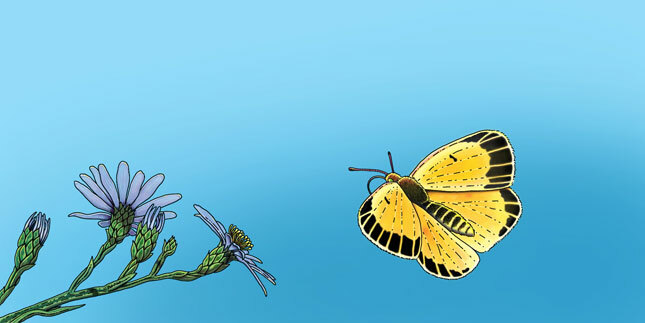 Orange Sulphur illustration by John Himmelman.